Regular servicing is hugely important in keeping your car on the road. Getting your car serviced is a little like taking a trip the dentist: expensive and unpleasant, but deep down you know it's a necessary evil. And while car service prices ensure regular maintenance is never going to be a picnic, there are ways to make it as painless and inexpensive as possible. Regular servicing is hugely important in keeping your car on the road. And prevention is better than cure, especially when prevention can save you thousands of dollars if something goes catastrophically wrong. And there's good news. In recent years, the automotive industry has lifted the curtain on car maintenance, introducing capped price and menu-based servicing that not only installs a ceiling on how much each service can cost, but breaks down the individual components that go into each minor and major service, so you know exactly what you're paying for. The happy by-product of these programs is that they allow you to do your research. If you think you're paying too much for scheduled servicing, you can jump online and see what you'd be paying if you were driving a competitor's car. And even if you're driving an older car, or you're not covered by a fixed-price program, you can at least see what others are paying, and make a judgement call on whether you're being ripped off. What should my car service cost? There are three major factors that make up what your service will cost: the complexity of the service, how many kilometres you've travelled, and how much the manufacturer or your mechanic wants to charge. 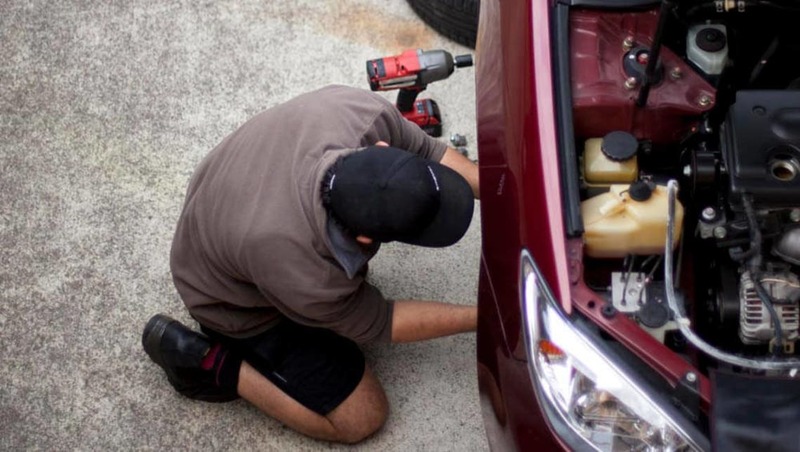 As a result, there's no such thing as 'average' car repair costs. Each new car purchase is usually followed by a minor check-up after 30 days, followed by a minor service after a pre-determined time (usually six or 12 months) or a certain number of kilometres. Your services then usually follow a major-minor-major routine that matches your recommended service intervals. And a major service cost will always be higher than a minor service. The variables are huge: petrol or diesel, front-wheel drive or all-wheel drive, price capped or not. But perhaps the biggest variable is your car's service intervals, with some vehicles requiring attention every six months, while others can go a full 12 months between dealer visits. And that can make a huge difference to your annual servicing costs. If the maker of your car or your mechanic can't offer you detailed quotes on car servicing prices, you should be asking yourself why. Shortly before running for the hills. So for example, the Toyota Corolla was Australia's best-selling car in 2015, and owners will find each scheduled service capped at $140 for the first three years. The second best-selling car, on the other hand, was the Mazda3, with annual service costs capped for the first five years of ownership, with the cost alternating between $298 for year one, $325 for year two, and so on. Which seems a considerably worse deal, until you discover that the Corolla requires servicing every six months, while the Mazda requires just the one trip to the dealership per year. And so both end up near-enough line ball. Read the fine print regarding any capped price program, though. Some don't include key fluids, while others are valid only for the warranty period. Equally, some manufacturers reserve the right to change the price of some parts of their programs, be it the labour rate or the cost of things like oil and coolant. So it's always best to stay on top of current pricing. Car maintenance schedules varies from manufacturer to manufacturer, though. So read the fine print. But at the time of writing, Audi, Mercedes, Infiniti, Lexus and BMW service costs are all linked to 12-month intervals, along with Kia, Nissan, Holden, Volkswagen and Ford service costs. Meanwhile, Jeep, Honda, Toyota and Subaru service costs are linked to six month intervals on some of their vehicles. Regardless of the manufacturer, though, there is more transparency around car maintenance and car servicing costs than ever before. So if the maker of your car or your mechanic can't offer you detailed quotes on car servicing prices, you should be asking yourself why. Shortly before running for the hills. Should I service at a dealership or a private mechanic? Contrary to what the salesman might have told you, servicing outside a manufacturer's dealer network does not void your warranty. And it can lower the average cost of a car service, along with often being more personable than servicing through a major dealership. But there are drawbacks. For a start, most manufacturers subsidise their capped-price servicing plans, meaning they're almost - or just as - cheap as a private mechanic. And if your car is under warranty, private mechanics can't carry out warranty work - where the manufacturer pays for both the parts and the labour - so if your mechanic identifies an issue, you'll still have to take your car to a dealership. Whichever option you choose, stay forewarned and forearmed. It's also worth noting that most manufacturers have considerable goodwill programs that they can use to keep their customers happy. So if your car's warranty has recently expired and something major goes wrong, you have a better than average chance of convincing the manufacturer to pay for it anyway. But your chances increase exponentially if you have a history of dealership servicing. There are no guarantees, though, and if you have a quality mechanic you can trust, then that's absolutely an option. Whichever option you choose, stay forewarned and forearmed. Read up on what is required, and what others are paying, and you'll minimise your chance of being taken for a ride. Have you ever had problems when getting your car serivced? Tell us about it in the comments below.